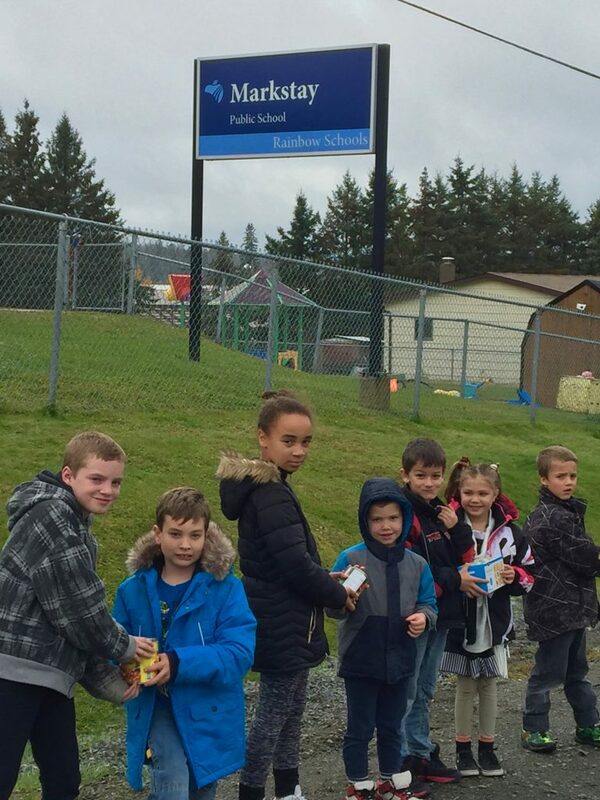 Markstay Public School is joining forces with the Markstay-Warren Fire Department to collect non-perishable food items in support of the Markstay Food Bank. The food drive began on October 29, 2018 and will continue through November 16, 2018. The entire community has been challenged to donate enough food items to fill the back of a pick-up truck. On Friday, November 16, 2018 at 12:35 pm, students, staff, families and members of the Fire Department will create a human chain of caring to hand deliver items to the food bank. The chain will be approximately 500 meters in length, starting at the school at 12 Pioneer Street East and ending at the Markstay Food Bank at 15 Hagar Street. Members of the Ontario Provincial Police will be on site to ensure the safety of all participants.